Originally published Oct. 4, 2018 in the Charlevoix Courier. Editors note: The following letter to the editor is from a fifth-grade student at Charlevoix Elementary School. Each week the Charlevoix Courier will feature one of the 19 student essay submissions from Charlevoix Elementary School teacher Dawn Hovie and run it on our opinion page. I think there should be physical education class every day in school for at least one hour a day because kids need exercise every day. Maybe the kid has a lot of chores to do at home, lives in an apartment, or the city and they do not have a chance to get outside easily to run around and play. Daily gym classes would give those kids the opportunity to get the recommended 60 minutes of exercise a day. 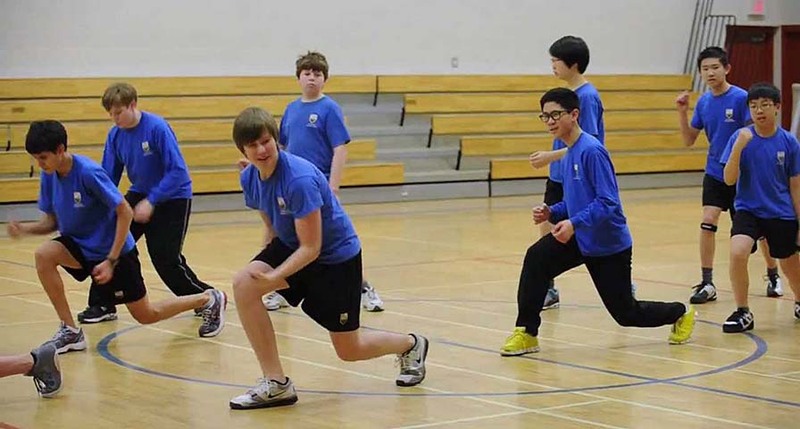 It has been proven that kids who go to P.E. do better in their classes that day than if they didn’t have P.E. This is because it allows the kids to work out extra energy and have the ability to focus more on their schoolwork. If kids have P.E. every day of the school week they would do better in classes all week. Having P.E. in the early afternoon helps to work out any remaining extra energy allowing for more focus the rest of the day. Lots of teachers don’t want kids going to P.E. every day because they think it gets everyone too out of control and everyone goes too crazy. However, the physical activity is proven to be more beneficial in lowering weight, improving focus and causing kids to be more healthy. A daily P.E. class can teach kids to be active and to lead a healthy lifestyle. Kids like going to P.E. because it is a lot of fun. Kids get lots of games to play and they get to talk to their friends more than just at lunch. Kids also get to go outside sometimes to run around or play games, like capture the flag. I go to gym once every two weeks because I play the trumpet in band. My friends in band and I love to go to P.E. so we want to go to P.E. every day we don’t have band. P.E. helps kids with their physical appearances as well. It is a lot of fun. Lots of kids get overweight because they don’t get enough physical activity; but if they go to gym every day it would be much better because almost everyone would be in physical shape. Please allow us to have P.E. every day. It would help improve focus and give kids more opportunities to experience a class they have more fun in. It would also help kids’ fitness. Please let us have gym every day. A lot of kids would love P.E every day. Student writes letter to editor citing benefits of attending physical education class every day.